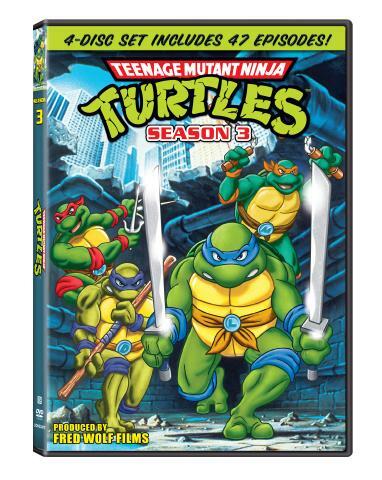 Today we have a special contest for the release of the Original Series TMNT Season 3 DVD set! This collection brings together for the first time all 47 episodes of the entire third season of the classic ‘80s TV series in a 4-disc DVD set. This season also introduced a lot of new characters such as Zach: The Fifth Turtle, Rat King, and Casey Jones. This is a very big part of TMNT history with a lot of great episodes with Rob Paulsen, Townsend Coleman, Barry Gordon, Cam Clarke, Renae Jacobs and so many other wonderful voice actors bringing these characters to life.